Move and Groove with these beauties! 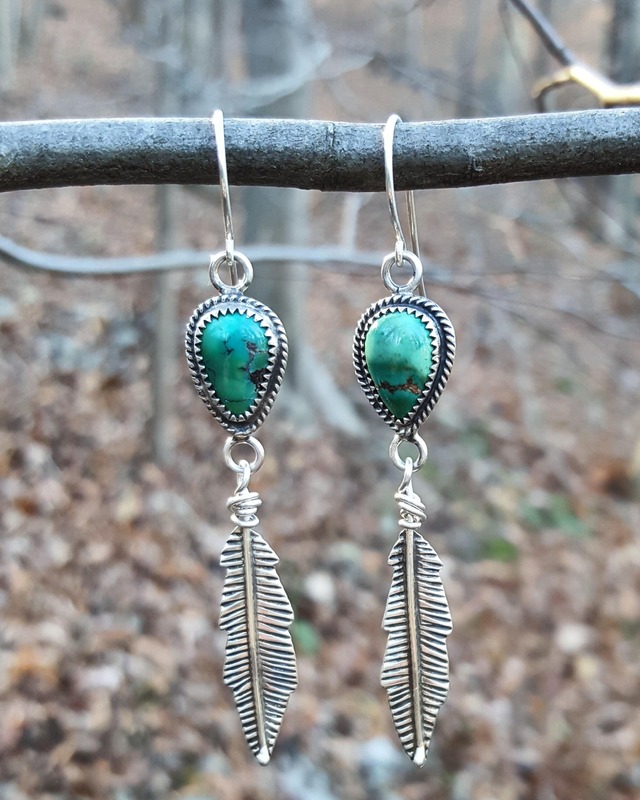 The Hubei Turquoise and sterling silver feathers have me drooling. I love this design so much, the length and weight of these earrings are perfect for everyday wear. 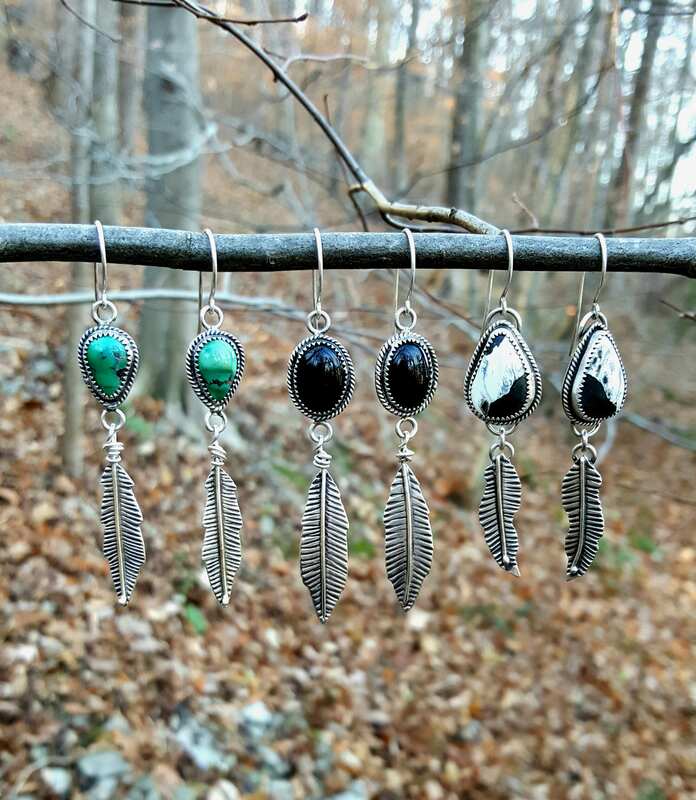 Each component of these earrings are completely handmade using traditional silversmithing techniques. The sterling silver has been oxidized to darken the metal. This patina should be maintained with a regular, light polishing. The earrings measure(from top of ear wire to point of feather) 2 3/4 in. X 1/2 in. © 2019 INNER SISTER SILVER.